Looking for a rental under $2,000 a month? Keep your fingers crossed and head to the Upper East Side. 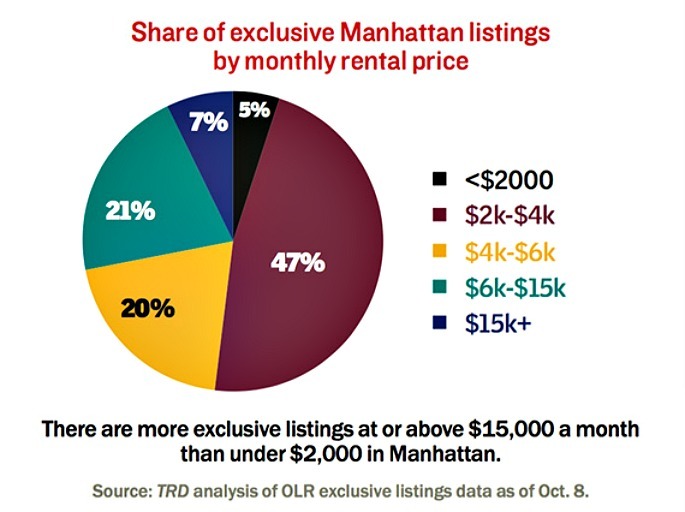 In a new analysis of on-line residential exclusive listings data as of October 8th, The Real Deal concludes that there are more Manhattan rentals priced above $15,000 than there are under $2,000, further proving that the uber-luxury market is not letting up. 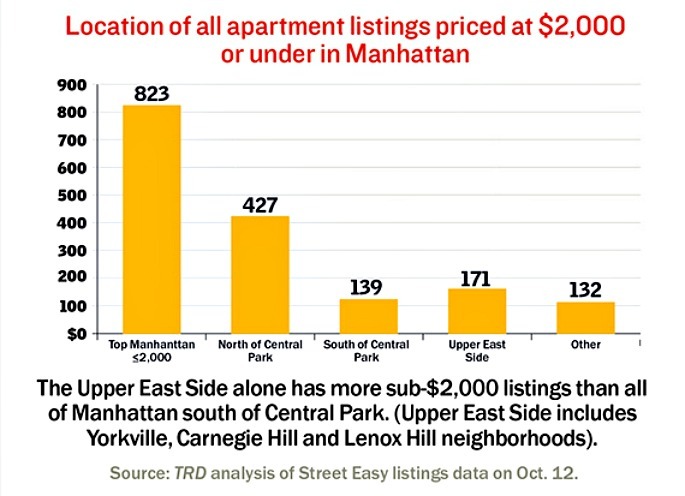 But for the latter category, the neighborhoods of Yorkville, Carnegie Hill, and Lenox Hill are the best bet. 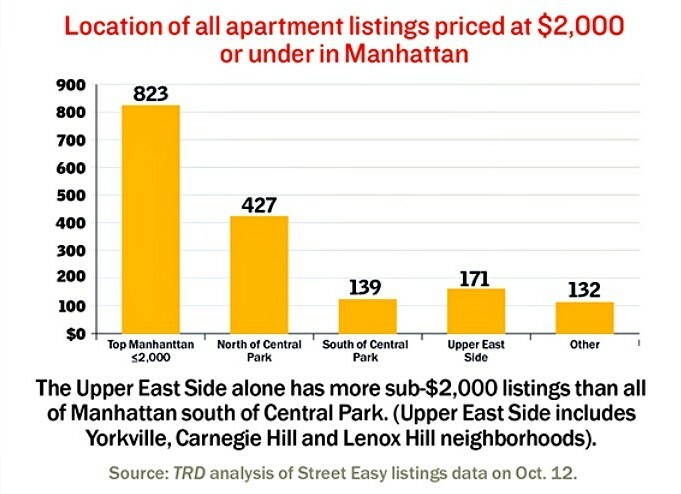 In fact, the UES has more listings below $2,000 than all of Manhattan south of Central Park. Kevin Daly of Prince Real Estate told The Real Deal, “The Upper East Side offers more value because it has more turnover,” comparing the traditional wealthy enclaves with the newer pockets of young renters who stay fewer than three years. 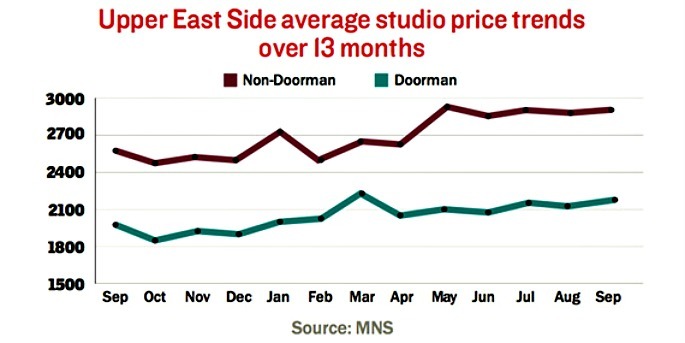 Keep in mind, however, that these great Upper East Side deals are mainly for studios in non-doorman buildings, but there are some one-bedroom apartments around $2,000 a month the farther east you head. For a true wealth of rentals at this price point, though, head north of Central Park.